Verso uses the simple white t-shirt as a canvas and explores construction by pleating, for a new twist on the spring and summer staple. 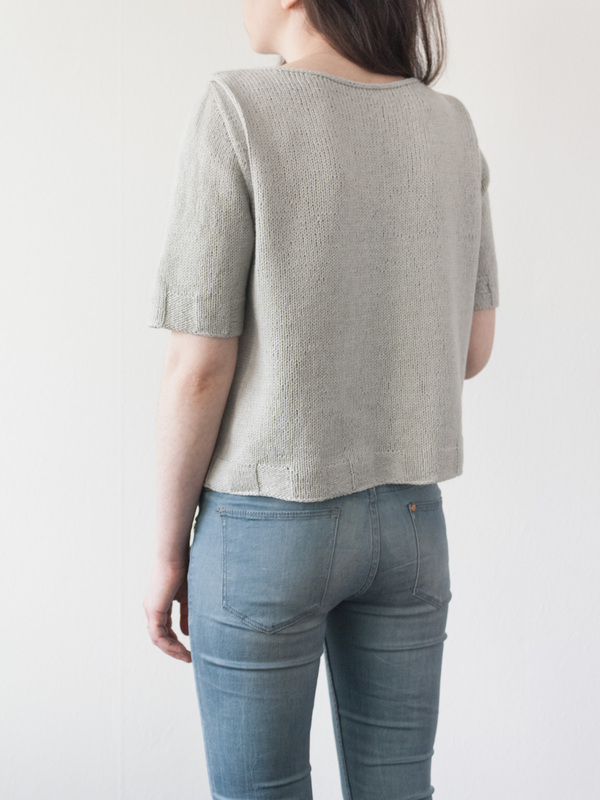 The pleats add ease to the tee, giving it an oversized fit through the body while keeping the shoulders fitted. 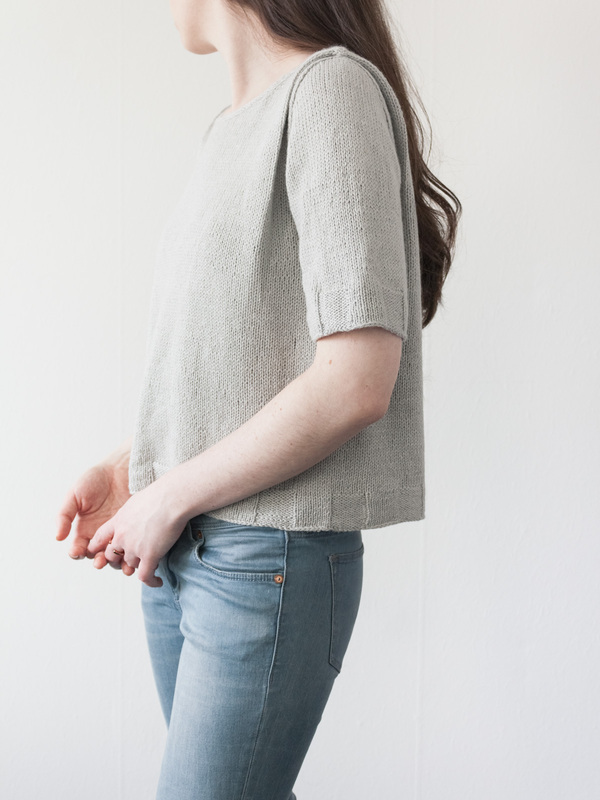 The tee is knit seamlessly from the top down. The pleats are assembled with basic crochet techniques (illustrated, step-by-step tutorial included). 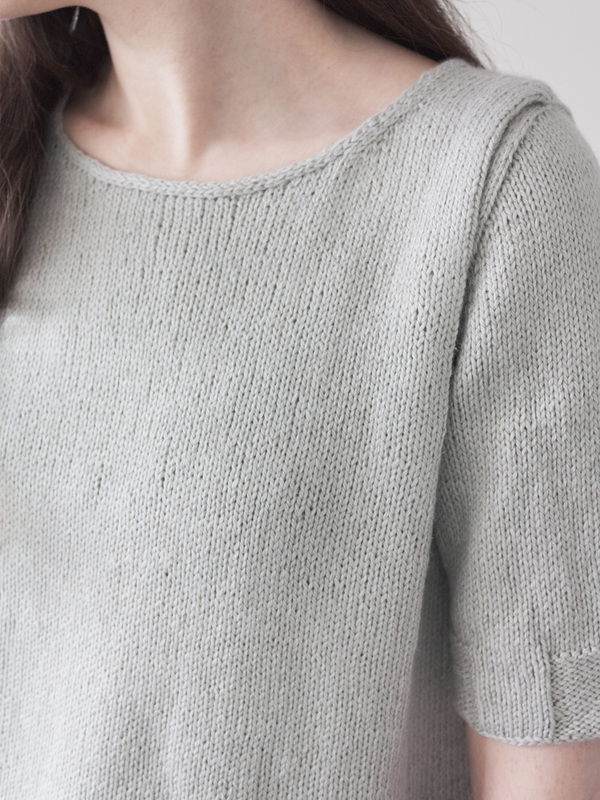 The elbow-length sleeves are picked up from around the armhole and the sleeve caps are shaped using short rows. (German) short rows, picking up stitches, basic crochet knowledge. 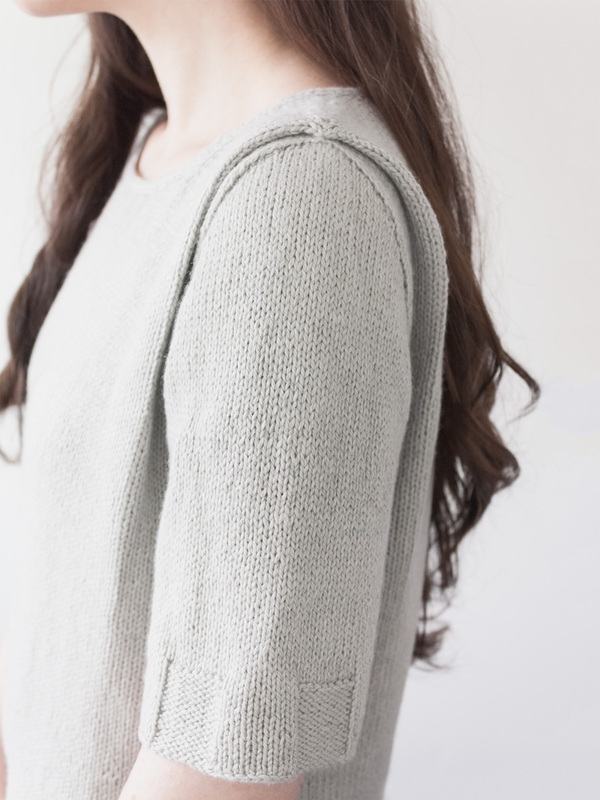 An illustrated, step-by-step tutorial on the assembly of the shoulder pleats using basic crochet stitches is included in the pattern.